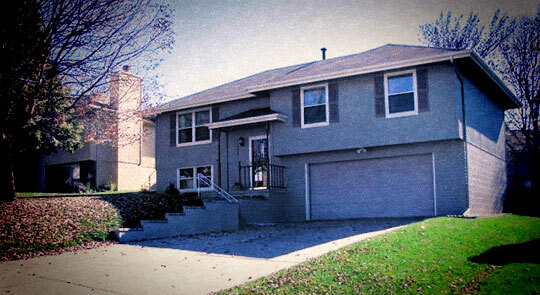 On June 22, 2012, PRISM investigated the Heflinger Park residence in Omaha, Nebraska. Investigators present were Carl, Kelley, Bo, Brian, Karen, Jeremy and Shannon. The home owner also stayed for the investigation, but her children and husband left the location. The owner’s claims were of a nuisance ghost named Fred who made noises and scared her, her children and the family dog. The owner wanted the house cleansed. We made sure to tell her that cleansing a house can sometimes lead to more paranormal activity. Permission was given to gather as much information as possible prior to cleansing the house for the home owner using sage and holy water. The home owner contacted PRISM and asked us to return for additional assistance in September. After PRISM's first visit, the home owner experienced an angry evil spirit as did her children. It had gotten to the point that the children refused to sleep in their rooms. Both the family and members of PRISM felt that the "prankster spirit" had left the establishment and allowed an evil spirit to take its place. On September 28, 2012, PRISM investigators Carl, Kelley, Bo and Lisa went back out to the home to conduct a second investigation. During the evening, all investigators felt uneasy and Investigators Kelley and Lisa both heard growling throughout the night. After the investigation, PRISM conducted a thorough cleanse, once again using Sage and Holy Water to rid the house of spirits. In November 2012, the home owner contacted PRISM to confirm that whatever negative evil spirit that was in the home is no longer there. They feel that their house may still be haunted, but all members of the family are able to sleep in their own bedrooms and do not feel threatened by whatever may be sharing the home with them. Soon after, the haunting continued. The Corby Street house was put up for sale in Ocotober of 2014. WOWT NBC News Omaha, Nebraska interviewed Director of PRISM Omaha, Kelley Kennedy, after hearing that a house near Heflinger Park in Omaha, Nebraska was being listed as haunted. PRISM has been investigating paranormal claims at the Heflinger Park residence in Northwest Omaha since 2012. The video piece was entitled, "Real Life Haunted Home For Sale" and aired on October 30, 2014. Video of 3 different EVP's recorded during PRISM's investigation at the Heflinger Park home in Omaha, NE from November 1st, 2014. The first EVP sounds eerily similar to the "Predator" clicking sound. In October 2014, the Heflinger Park property was officially put up for sale and is listed as a haunted property. This EVP was recorded on June 22, 2012, during our first investigation of the Heflinger Park home located in Omaha, Nebraska. The recording took place in the children’s room located at the back of the house. PRISM Investigators present at the time are Kelley, Brian, Jeremy, and Bo. The PRISM investigators can be heard having a conversation regarding a medical procedure. Did a spirit attempt to join in on the conversation? No one in the room was talking over Kelley while she spoke about the medical screwdriver and no one physically heard the whispers. The two eerie whispers were only heard in the recording. This EVP was captured on September 28, 2012, during our second investigation. The recording took place in the children’s room located at the back of the house. PRISM investigators present at time of recording are Carl, Kelley, Bo and Lisa. A child's voice can be heard talking over Carl’s voice. No one in the room physically heard the child's voice. The child's voice was only heard in the recording. This is a compilation of various EVP audio clips that PRISM has recorded at the Corby residence from 2012 to 2014. The following two EVP audio clips were recorded in the living room of the Corby Street house. The following EVP audio clip was recorded in the hallway of the Corby Street house. The following EVP audio clip was recorded in the master bedroom of the Corby Street house. The following two EVP audio clips were recorded in the back bedroom of the Corby Street house. The following EVP audio clip was recorded in the third bedroom of the Corby Street house. The following six EVP audio clips were recorded in the basement of the Corby Street house.